Have you ever bought a new toy thinking your child will absolutely love it only to get home and realize your child shows no interest? 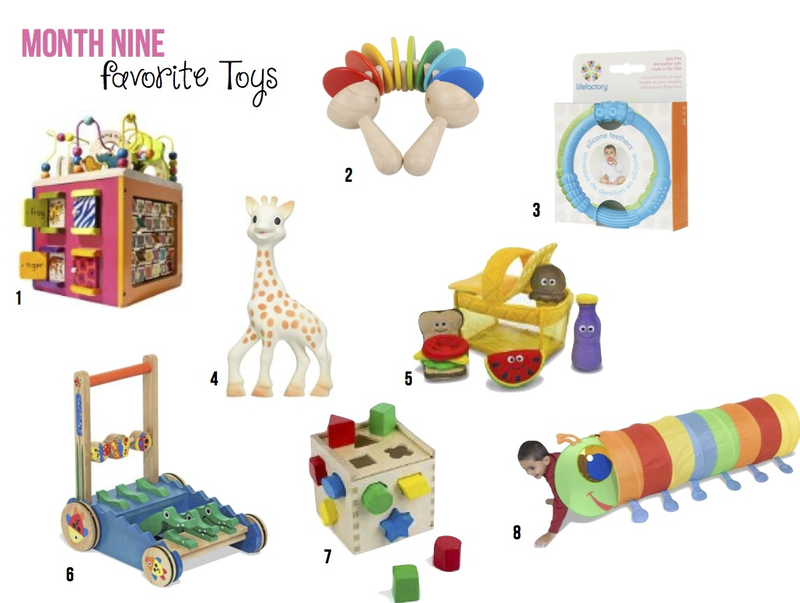 I know it happens to me often, so I put together some toys that both mama and baby are loving at nine months. As you may have noticed I definitely have a "type" when it comes to toys. In order for me to consider buying a toy it must meet certain criteria. This also helps keep my home from being infested with toys. First, the toy must be made of high quality non-toxic materials. As a personal preference, I try to limit the amount of plastic toys I buy as much as possible. Second, the toy must promote sensory, motor, cognitive or social development. The more skills the toy promotes the better. 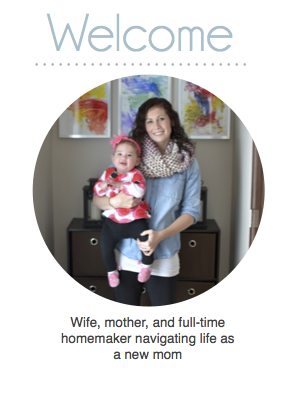 Lastly, the toy must allow for the child to use their imagination and isn't overstimulating. I have a huge aversion to toys that only need a simple push of a button to make the same noise over and over again. You know the toys I am talking about. I usually end up finding a hiding place for these toys before lunch time. I hope some of these recommendations may help you in your search for that "magical" toy. The one that keeps the kiddo occupied for longer than 30 seconds while you do housework or simply take a break.